The Pranamar Villas are situated at the beautiful Playa Santa Teresa, where surfing enthusiasts will find world-class waves. The community of Santa Teresa is a very laid-back beach town and you will find many opportunities to practice yoga. With a variety of accommodation options. 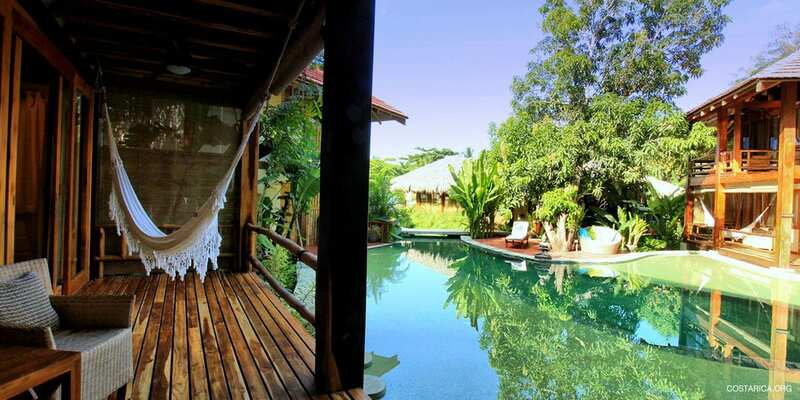 Pranamar Villas Yoga Retreat surrounds their guests with beautiful tropical gardens. 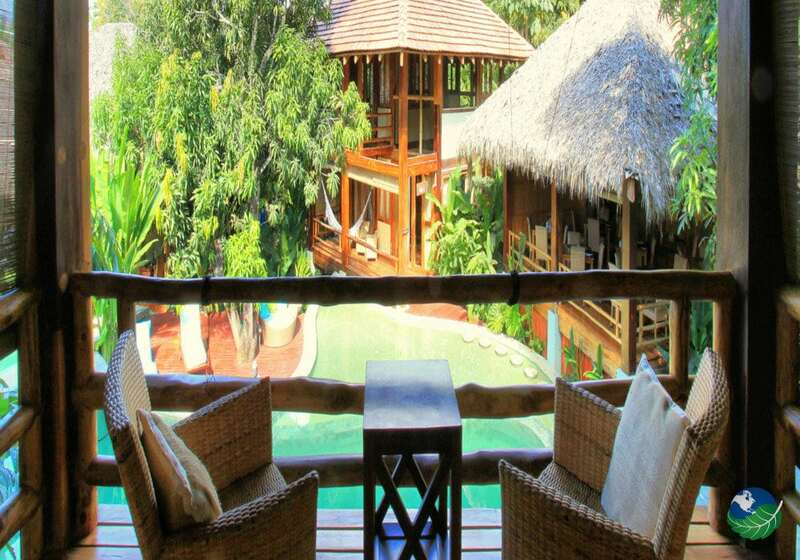 The beautifully designed villas of Pranamar Villas Yoga Retreat’s masterfully constructed of Costa Rican hardwoods and bamboo. They have plenty of windows and doors to allow for guests to enjoy the beauty of the surrounding. Too, enjoy the nature and sounds of the nearby ocean waves. 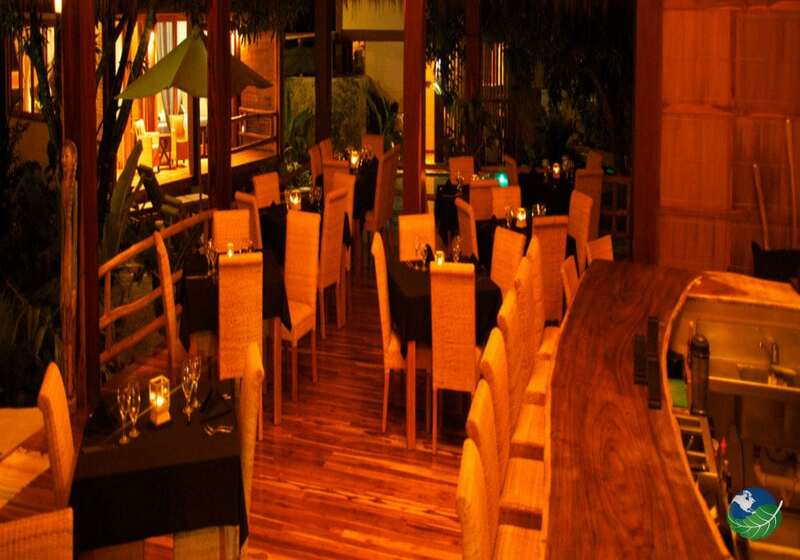 The owners of Pranamar have in fact worked with dedication to respect the impact that they leave on their environment carefully. The entire property is a model of efficient sustainability. All with independent water recycling facilities. They also have composted organic waste, a chemical free, salt water swimming pool and buildings made from local sustainable materials. 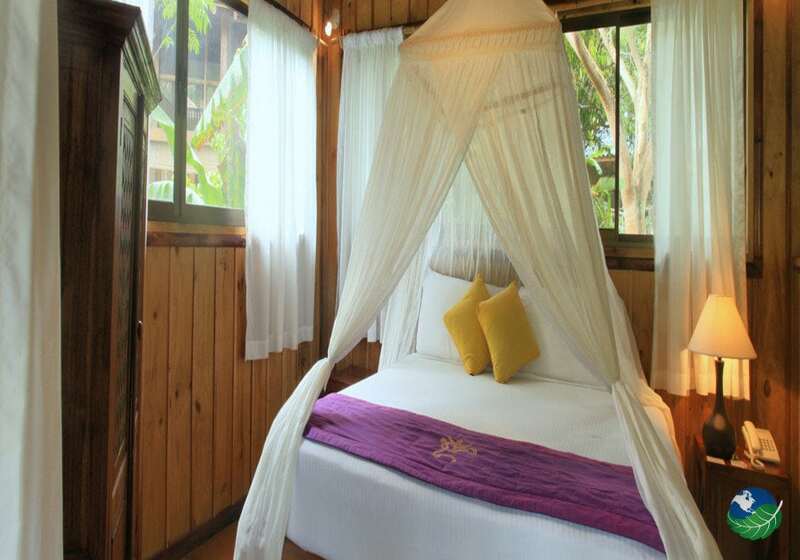 This is a terrific Eco-friendly hotel in Costa Rica. 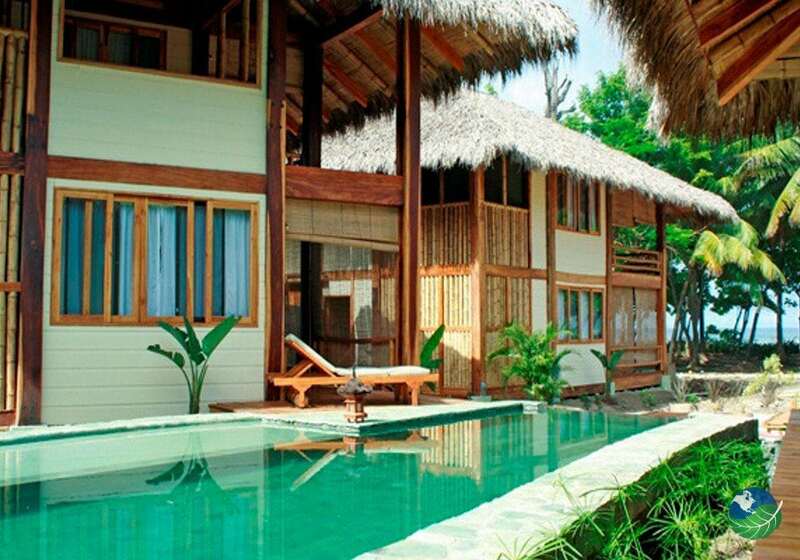 Presently, Pranamar Villas Yoga Retreat offers six two bedroom oceanfront Costa Rican villas. Built surrounding the pool and close to the open-air restaurant and tea lounge. Each villa is elegantly designed using Costa Rican hardwoods with granite tubs or outdoor showers surrounded by beautiful gardens. Decorated with elegant Indonesian furniture and sitting directly on the beach. These villas offer an option for families or friends traveling together. There is also the possibility of one of the three one bedroom bungalows. They have enormous ocean facing decks and built-in sofas. Finally, there is also a private house option. They can accommodate up to seven guests with expansive ocean views. Feel of a private villa rental with the amenities of a first class hotel! 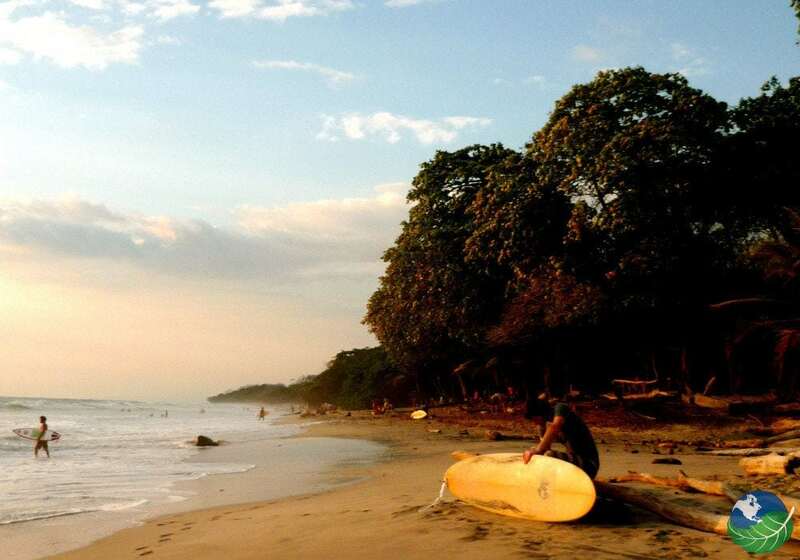 Above all, Pranamar Villas & Yoga Retreat offers visitors to Costa Rica an intimate beach front experience, dedicated to the sustainability of both nature’s rhythms and the renewal of the human spirit. Embrace nature at its best and find strength in the energy of the sea! Enjoy a yoga class or just immerse yourself in the beauty that is Santa Teresa, Costa Rica and Pranamar! 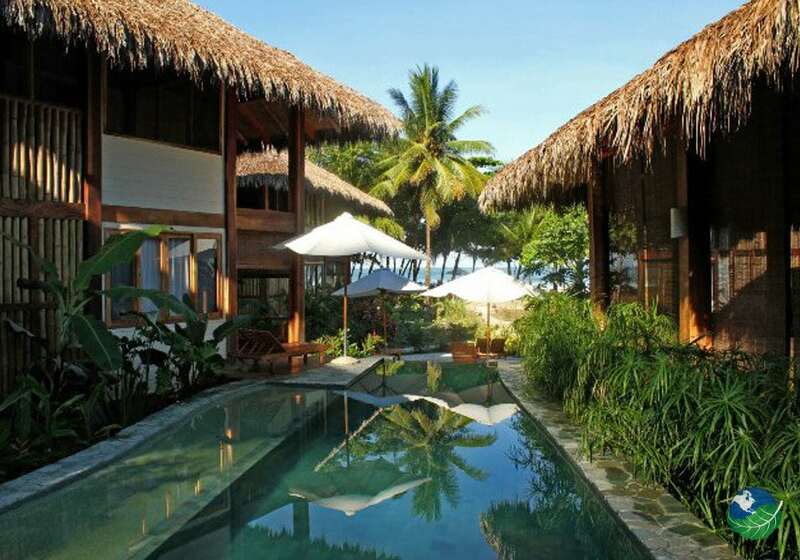 This is the perfect getaway location if you like beaches and yoga. All in all, you will enjoy every minute of this place. Santa Teresa. Favorite. Boutique, Romantic, Luxury, Beachfront, Signature Spa, Pool. Safe Box. Laundry Service, Concierge.